Hello Everyone, I hope you had a great weekend! Today at Paper Playtime we are having another Digital Monday challenge with the theme being Friends this time! Come on over to the blog and check out all the lovely cards by our Design Team and link up your card here. There are plenty of prizes offered by a lot of great sponsors to be won! 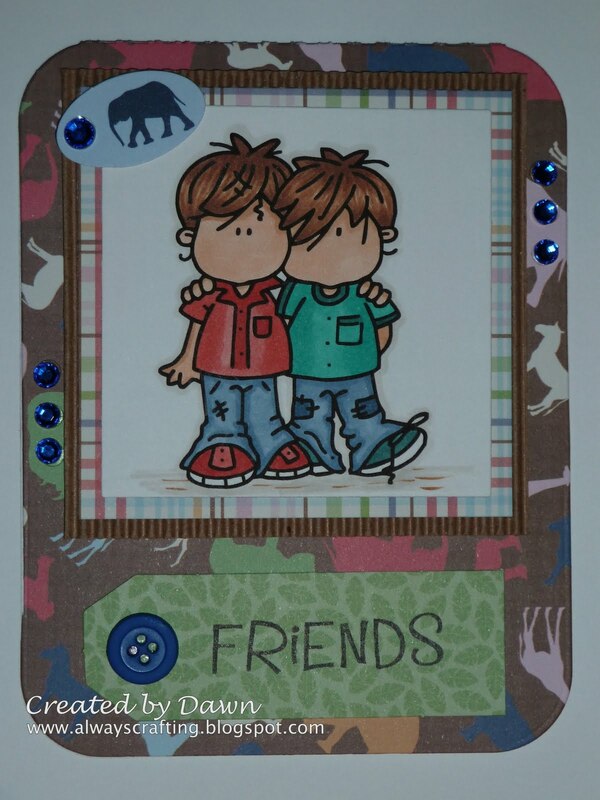 The image called "Best Buds" on this card came from Bugaboo stamps and can be purchased here. 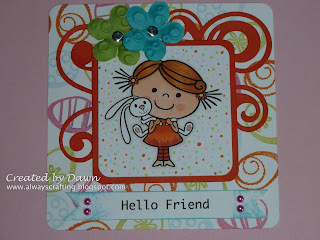 The image called "Itty Bitty Betty Bunny Piggy Back" on this card is from Pink Cat Studio and can be purchased here. Fab card, love the image real cute! Thank you for joining us at Craft Your Passion this week, good luck! Adorable friend cards! I especially love the little buddies, so adorable. Always looking for masculine inspiration. Keep sharing! Those are adorable! I love the Best Buds image and the paper behind the Betty stamp is great! Wow! I'm impressed! I didn't realize when you posted this that you are one of their design team queens! Congratulations!! I was checking out their blog/challenge & saw your card posted on their challenge blog. Congratulations again! They are a smart group to have you as a design team queen! Cute Cute Dawn! On the little girl and bunny card is that a swirl frame cut out?